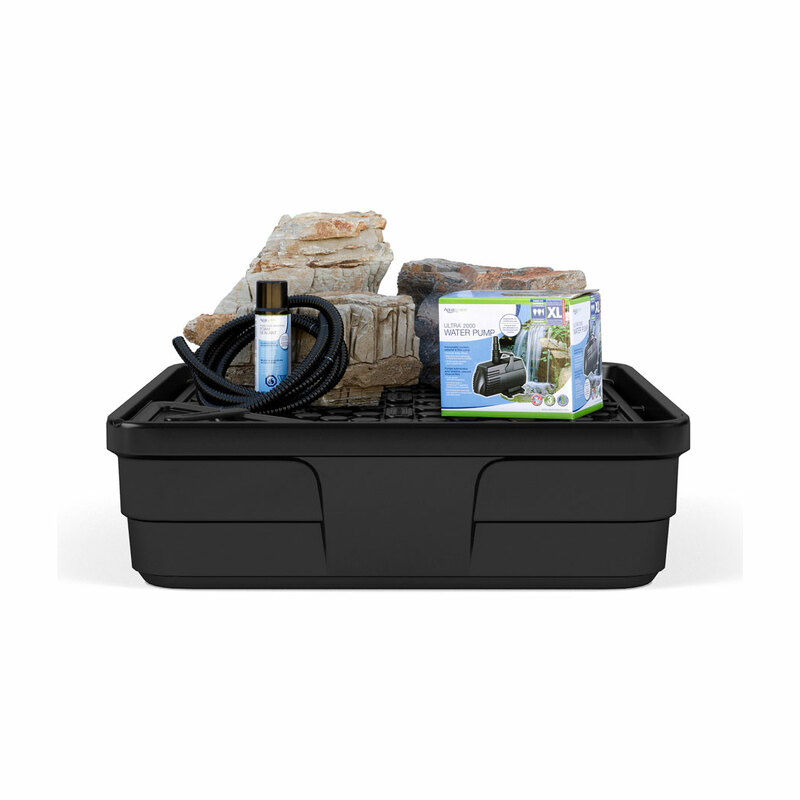 Aquascape Landscape Fountain Kits make it easy to add a splash of water to any space in your yard, making them an ideal choice if you desire a smaller water feature. Available in a variety of options, you’re sure to find one that suits your unique style. 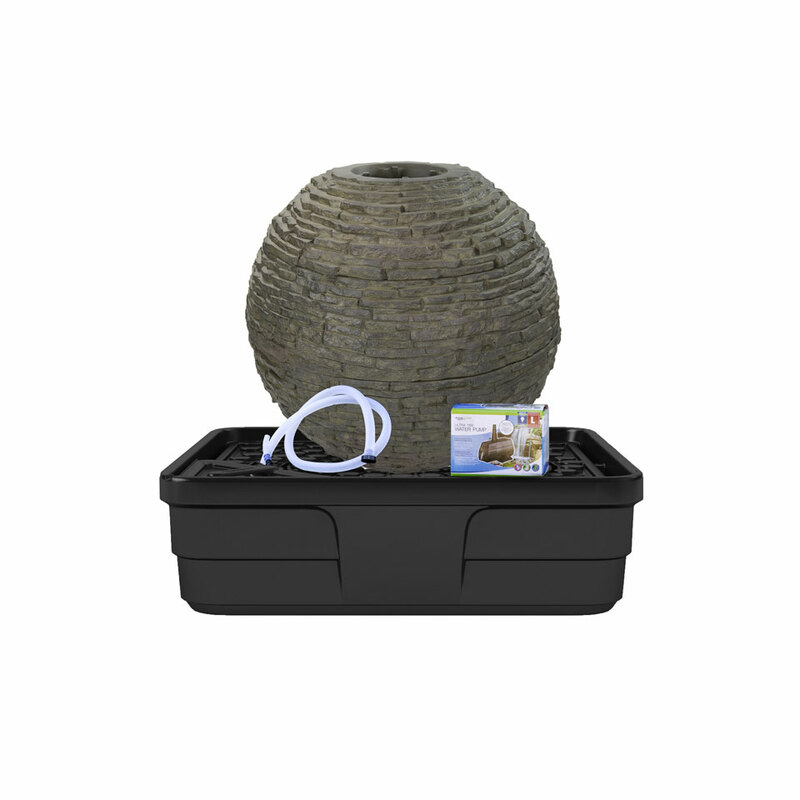 Landscape Fountain Kits come with all the necessary components to install a recirculating fountain in just a few hours. A sub-surface basin holds the water and pump, which pushes the water up through the fountain for a stunning display. Install just one fountain, or group several together for a truly unique water feature. 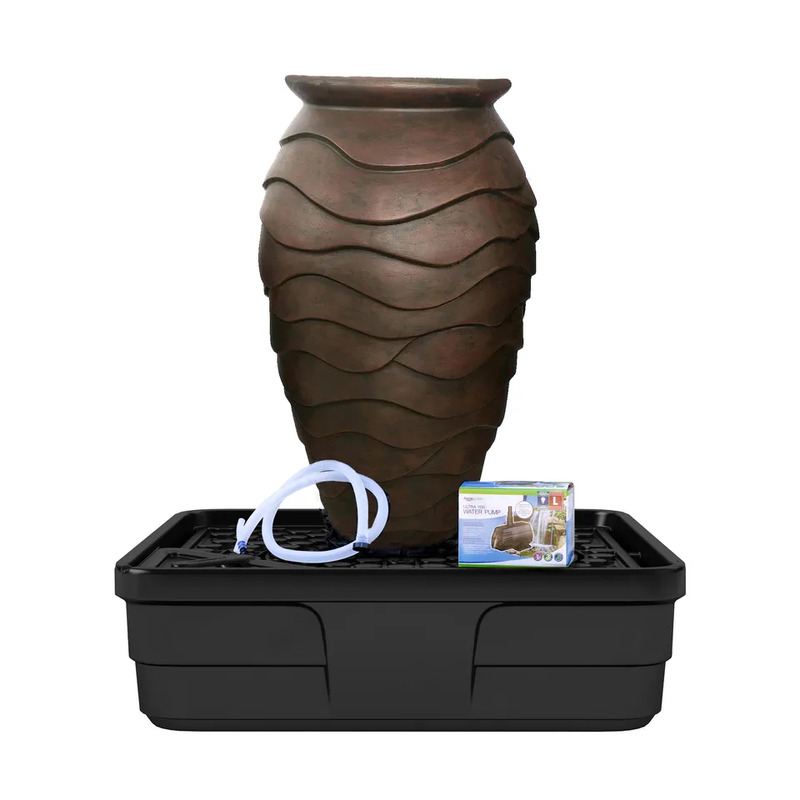 Just add decorative rock or mulch to complete your fountain. Then sit back and enjoy the soothing sights and sounds of running water in the garden. You’ll enjoy seeing the birds and butterflies that come to visit your new fountain. 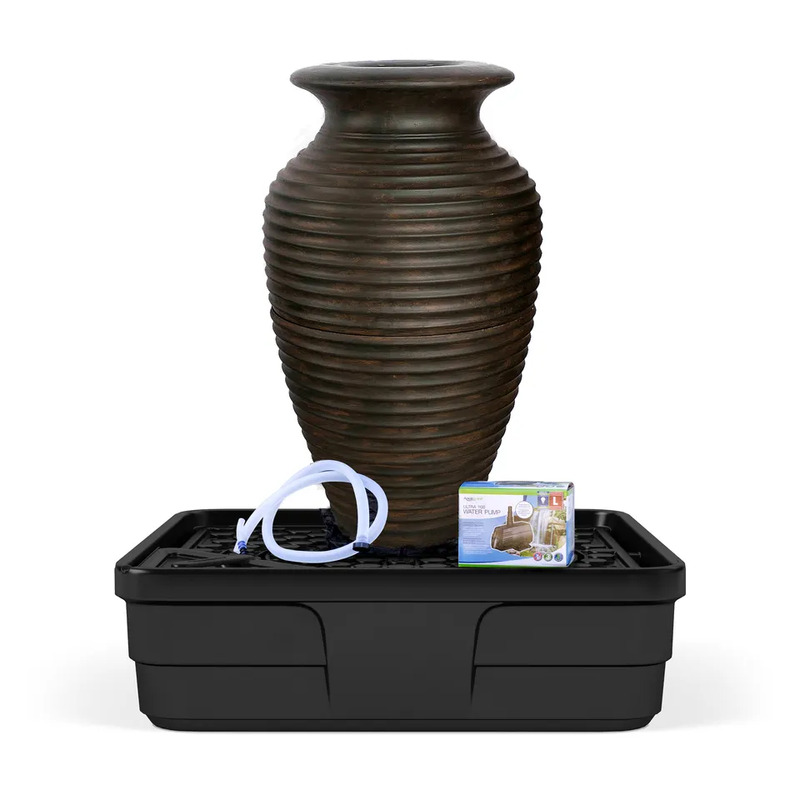 Aquascape offers three different styles of urn fountains in a variety of sizes. The lightweight, durable fiber-glass resin composite construction is built to last. The stunning finish will not fade or chip, ensuring years of enjoyment. 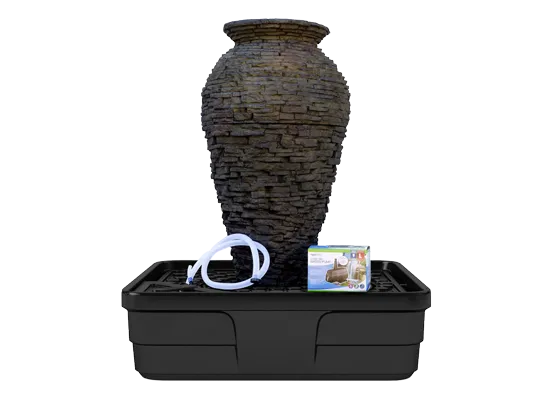 Add the element of fire to your urn fountain with the Aquascape Fire Fountain Add-On Kit (sold separately). Create an impressive, recirculating, and real-stone fountain with either the Mongolian basalt columns or the unique pagoda rocks. Each stone is core-drilled making installation easier. You’ll enjoy the look and feel of real stone while watching water cascade beautifully over the sides of your fountain. The Aquascape Stacked Slate Spillway Wall 32″ Landscape Fountain Kit makes it easy to add the relaxing sights and sounds of water to any location. Water surges through three separate water outlets at the top of the wall before spilling over the textured front of the feature. The impressive natural-looking finish looks and ages like real stone, and the durable, lightweight fiberglass-resin composite construction is built to last. 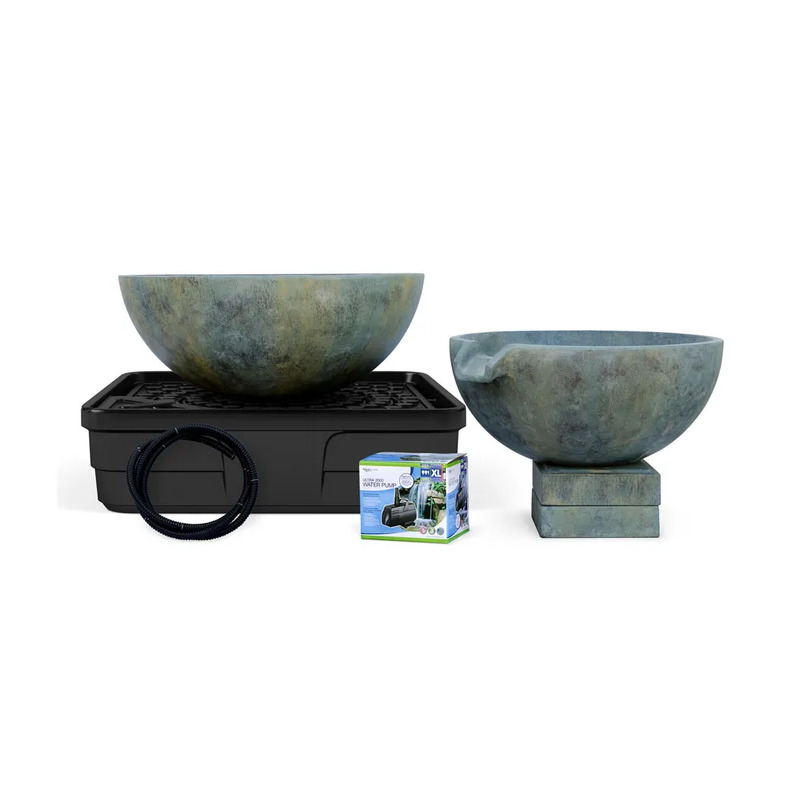 The large spillway bowl and basin create a unique, recirculating fountain that’s sure to become the focal point in your yard. Link the bowls together in a wide variety of configurations, or keep it simple with just one or two bowls. You’ll enjoy the soothing sight and sound of water in your landscape. 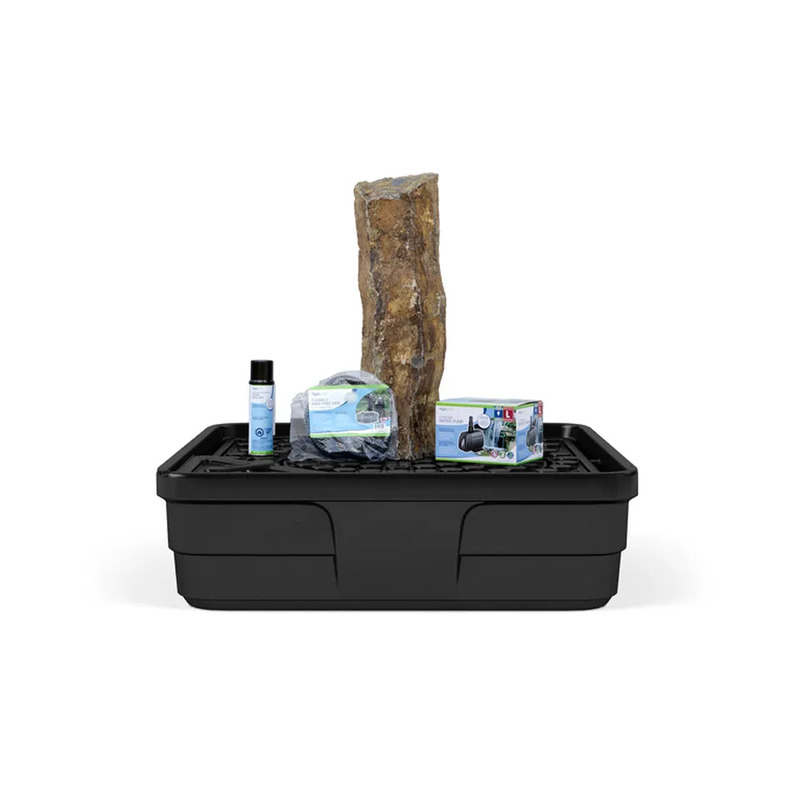 With the Aquascape Backyard Waterfall Landscape Fountain Kit it is now easier than ever to install and enjoy your very own waterfall! 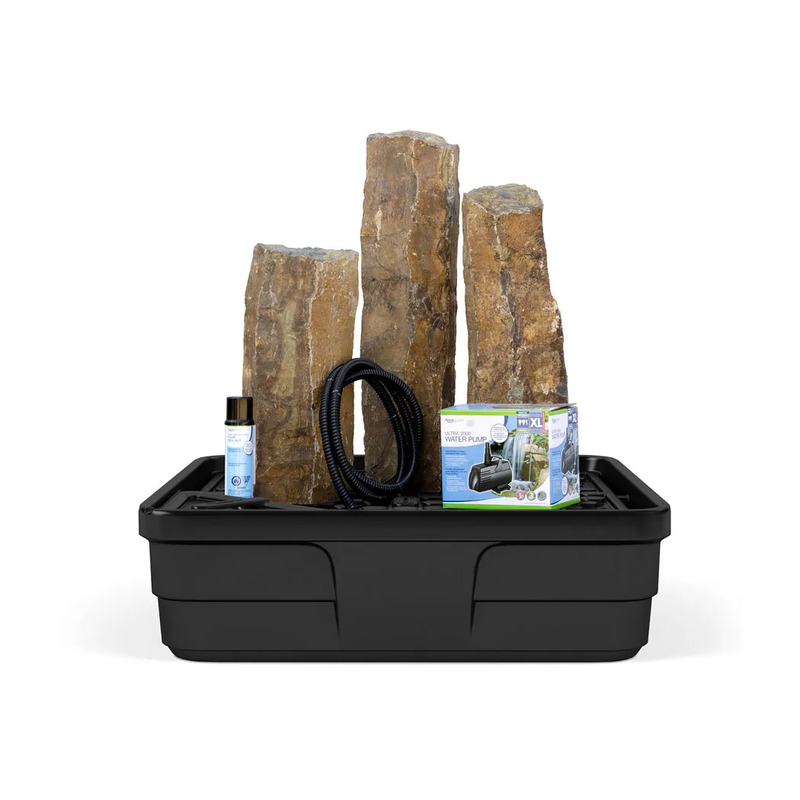 This complete backyard waterfall fountain kit bundles the perfect combination of products, providing everything needed to create an impressive, one-of-a-kind Pondless® Waterfall. The Stacked Slate Sphere is constructed of the same durable fiber-glass resin composite that’s built to last and ages like real stone. You’ll love the whimsical look of fountain spheres in your garden while birds and butterflies visit for refreshment. The beautiful spheres are available in three sizes. 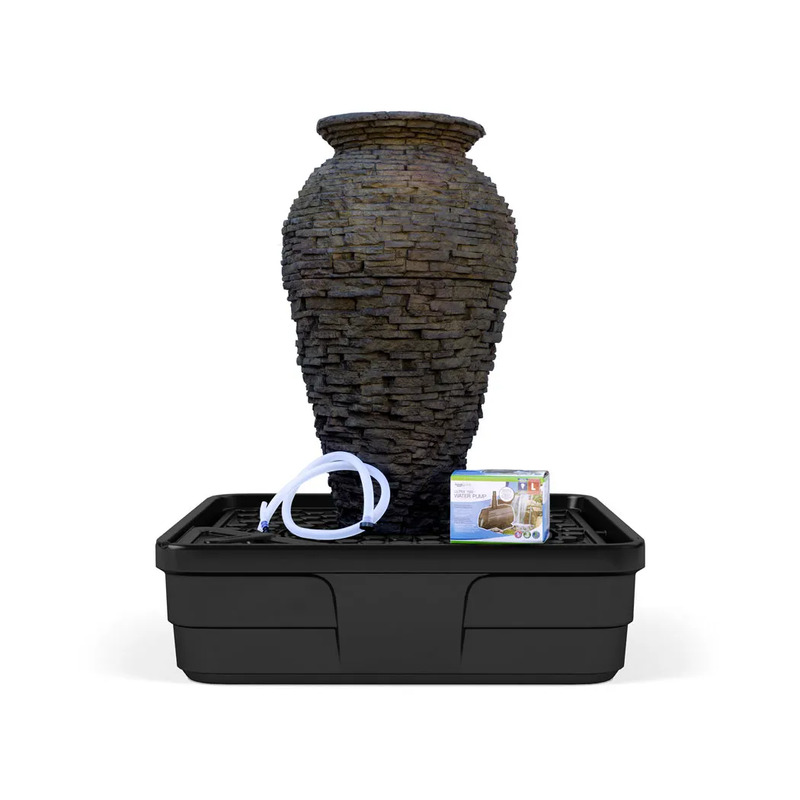 Our stacked slate fountain products are made of lightweight, durable fiber-glass resin composite that ages like real stone. The natural rock veneer never fades or chips and allows for indoor and outdoor use.